[Q&A] How many hours charge battery in 1st time. [Q&A] my phone started behaving strangely. 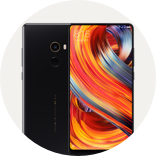 [Q&A] How can i track my lost mi mix 2 phone which has recently been misplaced! ?